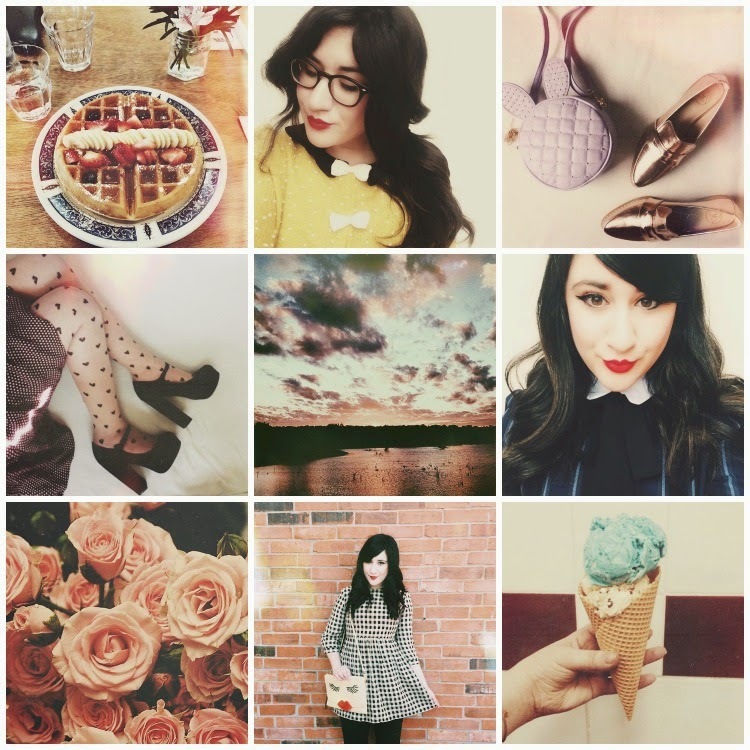 I try to update this blog as much as possible, but for those little moments + outfits in between, I am always updating my instagram. Yes, thoroughly and thoughtfully, I am constantly capturing my daily adventures. I read every single comment and try to respond to outfit questions or any other questions you have all have! Sometimes it's difficult to get back to comments on here, but I'm always sure to answer them there. Anyway, if you want to follow along, check me out here! Hope you all are having a wonderful day so far. Those roses are such a pretty colour! Is it possible to have rose envy? Haha! mm, that ice cream looks lovely!